It's no secret that tiny houses are growing in popularity across the U.S. Not only can owners of tiny homes simplify their lives by reducing possessions and space, but they also tend to pay less for mortgages, utilities, and other costs. Still, zoning laws can make it hard for average Americans to find sites for their pint-sized properties. These guidelines affect the dimensional requirements for various types of buildings. "I think that originally those laws were there to protect people, and then they grew to be more about keeping the neighborhoods standard and keeping property values high," said Elaine Walker, founder of the American Tiny House Association. "But I think we're seeing a bit of pullback on that idea." So, where exactly can tiny house enthusiasts put their little homes, and how can they comply with zoning laws that differ from place to place? "That is the million-dollar question," said Pat Clancy, a tiny home specialist with Tumbleweed Tiny House Company. 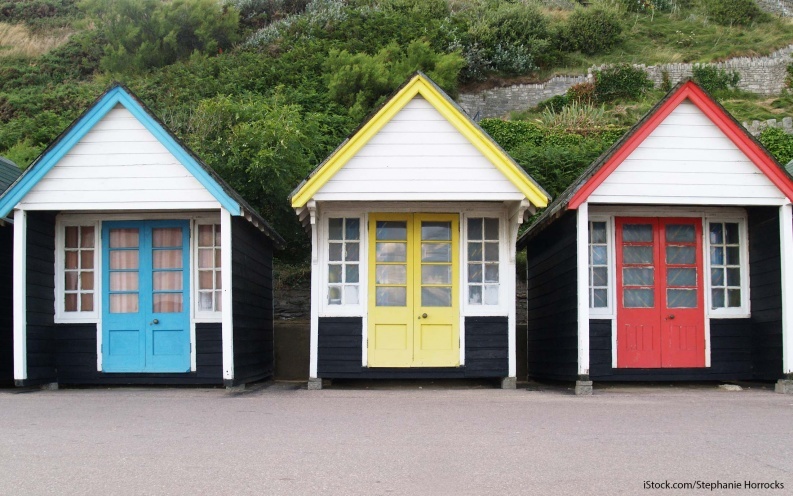 Here are 10 tips for building tiny houses that meet the zoning laws of your region. 1. Build your tiny home in a friend's backyard. If land ownership isn't your primary objective, consider building your tiny house on someone else's lot as an accessory dwelling unit (ADU). According to the Federal Housing Administration, ADUs are habitable living units located on properties with single-family homes. So, if your friend or family member has land to spare, you could share it under ADU regulations in many states. Still, going the ADU route isn't ideal for every tiny home builder. "Most people don't want to risk building their tiny home on a foundation on someone else's land because it would be so difficult to move," Walker said. "You don't necessarily want to take the risk if it doesn't work out with the larger homeowner." 2. Find a job that makes it legal to live in an ADU. If your tiny home is portable, living in it on an employer's land is another way to use accessory dwelling unit laws to your advantage. "It really is a great option, particularly for elder care," said Laura M. LaVoie, who built and lives full-time in her tiny home in North Carolina and blogs about it at 120squarefeet.com. "In most cases, it would be essentially a rental situation (for the worker), so it's up to them whether that's something they'd be open to." 3. Put your tiny house on a trailer. Many places -- including Nantucket, Mass., and Fresno, Calif. -- place less stringent regulations on tiny houses that are portable. According to LaVoie, the advantage of living in a portable tiny home is that you can move if necessity, or opportunity, dictates. Once your tiny home is on wheels, you can have it certified as a recreational vehicle, provided that it meets RV standards. However, because some codes prohibit RV owners from living in the vehicles permanently, having your home certified could work against you. "A lot of places don't want somebody living in an RV in a driveway, so they've put prohibitions on it," said Jay Austin, designer and owner of a tiny house called The Matchbox and member of tiny house collective, Boneyard Studios. For best results, research your municipality's restrictions on RV ownership before deciding whether to register your tiny house as one. 4. Regularly move your tiny house on wheels. Take the idea of a mobile home to the next level by bringing your tiny house with you when you travel. Not only does doing this save you money on hotel costs, but it also helps you avoid breaking temporary living rules. "Most people don't build their tiny house with the thought that they're going to move it constantly like you would a camper or RV, but there are people who do want that completely mobile lifestyle," LaVoie said. Moving regularly can enable you to get around restrictions on camping, or keeping your tiny home in one spot for too long. 5. Only live in your tiny house recreationally. According to Walker, many cities allow individuals to live in tiny houses temporarily but not permanently. Hence, a tiny home can serve as a great vacation property, if it's located in a place you like to visit. Additionally, tiny home builders can rent out their accessory dwelling units to earn extra income. Said Walker, buying a tiny home to rent out is "a good investment and a legal route" to joining the tiny house movement. 6. Explore land sharing in a blighted area. If you're building a tiny home on wheels rather than a permanent foundation, consider participating in what the U.S. Department of Housing and Urban Development calls "temporary urbanism" by planting your tiny house on urban property that's otherwise not useful. Austin, who once lived on property held by another tiny house owner, now resides on city-owned land in Washington, D.C. The site of an abandoned middle school, the land is too costly to fix up or tear down. Instead, the city leases the front plaza of the property to a neighborhood farming guild, which in turn subleases a small plot to Austin. "The idea is to move the house there for a few years, and then when they're ready to start developing [the property], you find another place to move," Austin said. 7. Find a tiny house community or village. If you're looking to build your tiny home without having to jump through a lot of zoning hoops, choosing an area that already has other tiny homes is a sure bet. Numerous tiny home communities exist across the country and, according to Walker, might be good options for those who feel uncertain about sharing land or moving their homes frequently. "A lot of people who come to the tiny house movement are specifically looking for that community experience," said LaVoie, "so going to an actual community is perfect." 8. Move to a city that allows tiny homes. In many parts of the country, zoning laws prevent tiny homes built on foundations and those not considered accessory dwelling units. However, the list of places that allow tiny homes is expanding. Some of the cities that permit tiny houses are Walsenburg, Colo.; Canyon County, Idaho; Ashland, Ore.; and Richmond, Maine. Additionally, Pulaski County, Ky., has no zoning laws, a fact that makes it a great choice for tiny home dwellers. Walker offers an incomplete but expansive list of tiny home-friendly locations on her site, Tiny House Community. 9. Opt for a small home that isn't technically a tiny home. If strict zoning laws have you feeling left out of the small house movement, you might want to opt for a house that's slightly larger than tiny. Walker suggests looking for homes that are smaller than traditional houses but not quite as minute as those found in tiny home communities. Very old homes in New England, for example, often measure in below present-day zoning minimums. However, according to Walker, "you can be grandfathered in with that footprint." 10. Petition your local government to change its rules. If you dislike your town, city or county's zoning laws, you might be able to petition to have them changed. North Carolina-based LaVoie is a member of the Asheville Small Home Advocacy Committee, a volunteer group that's working with the city council and planners to make tiny houses more viable within the city. "It won't be an overnight process, but it's something people have done and people are doing in cities all over the country," LaVoie said. This article, 10 Loopholes to Build a Tiny Home Legally, originally appeared on GOBankingRates.com.